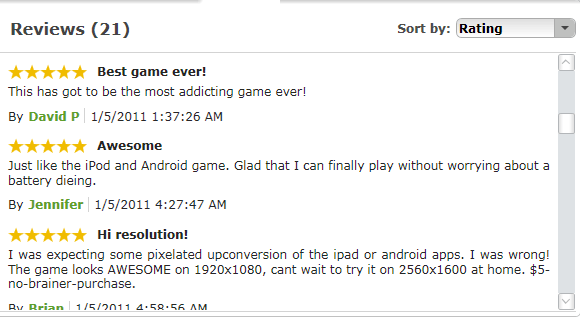 Are you looking for Angry Birds for PC? Yes your dream is becoming a reality. Angry Birds game is now available for PC. This is a great news for all Angry Birds fans. 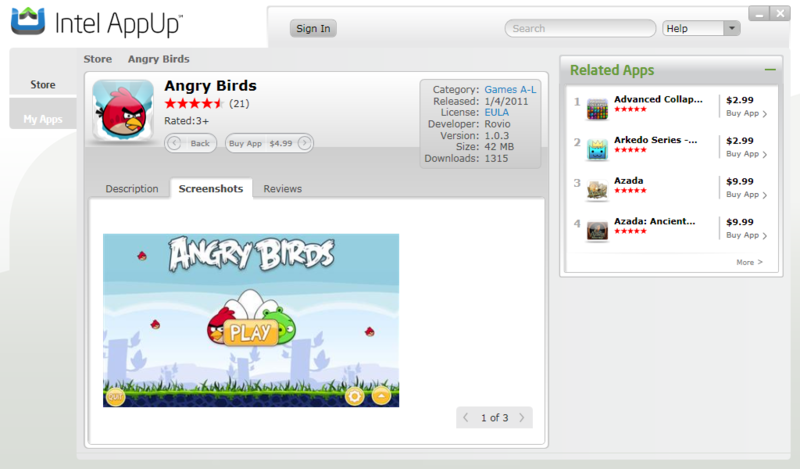 Angry Birds, the most popular and downloaded game of iOS, Android, Maemo is now available for windows pc. If you have played Angry Birds then you must know that it is very much addictive and enjoyable game.It is now one of the best selling game for mobile devices. Angry Birds is currently available in Intel AppUp center for netbooks and consumer laptops.The PC version supports Windows 7 and Windows XP.Currently there are total 195 levels and it is reported that more free additional level will come soon. To download Angry Birds you need to install Intel AppUp center client in your computer. You can browse applications in Intel AppUp center client without registering but to purchase game you need to create an account.Currently three payment options are available Master Card,Visa and American Express. If you have purchased the game then share your opinions here. Have you played Angry Birds on PC? Did you enjoy it? Share your experience in the comment section.